Maybe this is the way the system is supposed to work. I have a 3 kW system with SMA Sunny Boy and Sunny Island and battery backup. 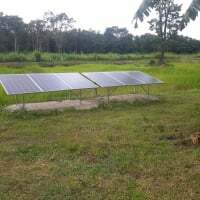 Apparently, 2x lately, I''ve lost grid power so the system started pulling power from the batteries and the sun (but this is while running a 3 hp irrigation pump). At around 19% battery charge the system shut down completely. Since it is remote, the first time it was shut down close to two weeks, the second time for 2-3 days. Lost food in the freezer both times (chlorine bleach is a life saver!!). I had to manually restart the system when I discovered it. Isn't it supposed to reboot itself after power is restored? I assume it is AC coupled from the sunny boy to the island right? Some more data will help. Who installed it and when? 3 HP is some serious irrigation, what are you growing? I have different equipment, but have run into a (maybe) similar problem. At a 19% state of charge, the battery voltage may have dropped to a Low Battery Cut Off, at which equipment shuts down (~10.5v typical for a 12v nominal system). Having shut down, voltage may need to recover to some higher voltage to restart. In my case, I started a backup generator, but as battery voltage was too low for inverter/chargers to boot, I had to use an automotive AC charger to get bank voltage high enough for the inverter/chargers (and solar charge controllers) to boot and continue charging. The pump would probably be the largest load, if so, perhaps shedding it during gird outages may be an option, the pump itself would draw all a 3Kw array could produce, factoring in power factor and panel derating, just a random thought. Mcgivor's solution is likely simplest. Maybe use a voltage triggered relay (possibly signalled by the controller, if so equipped) set to a higher trigger voltage than LBCO. Set to say 12.1v (or multiple for higher nominal system voltage), which would be ~50% SOC, the pump load could be turned off well before the system hits LBCO, so it should recover when grid is restored. With a known pump load, the battery bank could be sized to provide a known backup time (eg 24hrs) to cover the time for a typical grid failure. For longer term backup, a generator could be added, so instead of shuuting down the load, a generator is started if batteries reach trigger voltage. Obviously, this involves more complexity, fuel storage issues, etc. You guys are missing the part about this being a grid tied inverter with AC coupled charging of a sunny island battery inverter/charger. Since he has not clarified much here, it is all a guess. LBCO is the result of a set-up problem, my guess. What is he manually restoring here, the grid inverter, the battery inverter or both? It is very common for installers to not fully configure a complicated system like this. It also is much better in remote places, that lose power alot, to keep this simple and DC couple with a hybrid inverter. Then if the batteries get low (no sun, gt inverters fail to sync, etc. ), I could see the off grid inverter taking the battery bank to below 20% state of charge, anda peaky load (refrigerator or well pump) takes the battery bus to the inverter cutoff voltage. For many inverters once the battery bus hits 10.5 (21 or 42) VDC, the og inverter shuts down. And will not restart until the battery voltage goes up significantly (like over 12.5 volts). For a micro grid system, the AC grid is down, and the gt inverters can't run, and the og inverter cannot charge the battery bank (some og inverters will not restart until the DC bus has been shut down and turned back on). I would think that installing a standard solar array and solar charge controller (to DC battery bus). A guess. I do not know how the SMA inverter restarts. Those are some very good engineers andi would be surprised if this sort of obvious failure (not enough sun, DC battery bus going low) would lick their system. Perhaps the installer missed something? Uh huh the installer missed something. A good portion of my business is fixing these systems. Mostly they are done by electricians or homeowners after the initial grid-tie system is legally installed. The SMA TL series and later, if set-up (programmed) correctly will always restart if the grid is in spec for voltage. by Fixing, do you mean replacing . I thought the ark detectors were the new best thing .. Assume this is on the DC side of things. Ark detection within circuit breakers an the AC side is starting to be seen here . Yes R & R DC side. Arc fault breakers on the AC side can be a pain too... Tripping from using a vacuum cleaner (universal/brushed motor). And I do not like to use GFI breakers in the main panel (or on a small system, one GFI breaker or GFI outlet on the AC inverter). Just one real "or false" trip--And major parts of your house/cabin go dark. I highly suggest using the GFI outlets where needed (around sinks, water, outside, for a work bench is nice) and not use them elsewhere. The outlets do not plunge the whole place into darkness, or kill the power to the refrigerators and freezers, then spoiling your food. And my latest personal saga... 10-15 year old GFI outlets failing and needing replacement (one had the button shatter and spit some of the spring/guts out the face). Just more things to fail... (these were at sinks, so have to replace with GFI for safety). New construction people just deal with the headache. When it hurts enough, just remove it. By then you know the wiring is probably pretty decent in the walls. Secretary of State--Funny you should mention that... Having to go through some "legal paperwork" in California and mainland China (as in drove to Sacramento yesterday for the third time). The Notary stuff says that they "notarize" signatures (the person that signed the document matches their government ID"). And that is it. The Chinese embassy, wants the copies of the ID (passports, driver's licenses, etc.) "notarized" that they are true and proper copies. Secretary of State specifically states that this is not what notaries due (just notarizing signatures, the person that signed is the the one declaring the documents are correct... By the way, there are different coversheets--One if you are the person witnessing, another if you are the widow witnessing the person who died information--Notaries will not tell you which is the correct cover sheet. And they get upset if they witness the "wrong" one. Ask your lawyer which cover sheet--"that is complicated" was the answer). Step Three: Get notarized. Argue that they can notarize Chinese language documents--They say not (specifically, notaries do not authenticate documents, so it does not matter what language). Step Six: Get documents witnessed (signed and notarized). Do not staple supporting documents to signed notary page (see #3). Also, SoS will not apostille anything with supporting documents that have a notary seal stamped on the documents (and Chinese Embassy will not accept documents that are not stamped with a notary seal and apostilled--Typical bureaucratic catch 22). Step Seven: Drop everyone off to work/home and drive to Sacramento to get Secretary of State to put on pretty cover sheet for foreign country use (Interesting note: Any licensed notary works anywhere in the US. Get a SoS cover sheet, document is no longer "useful" in USA). Step Eight: Go back to notary to get them to "stamp" the documentation to say that it is a "true copy" (or, get them to stamp ahead of time, but do not staple/do not show to the SoS package prior to the SoS stamping the package). Note if you staple the "notarized" copies, you have to do it correctly (only to last sheet, proper edge of paper, or go to Step One again. Step Nine: Go to Chinese embassy (in Los Angeles or San Francisco) the next day to stand in line for 2 hours. Step Ten: The embassy staff inspect the staple holes to make sure you never unstapled the documents (this is true--I am not making this up--If you unstaple to copy and restaple, then will reject the documents). Step Eleven: Come back in 4 days (another 2-4 hour line) for the documents with the Embassy stamp. Step Thirteen: Chinese Lawyer says they now what the ID documents notary/apostilled/embassy approved... Start at step one. Bill ...... sound like fun . What is it that your trying to achieve after all this paper work ? I think I remember this from an e-mail Bill, I think. My advice from living in Central America for a decade is to pay. In many ports someone would come on the vhf in broken english called the paperman. All you had to do was meet "papermon" and for some cash, he could get you any papers you needed. even on a Saturday night. 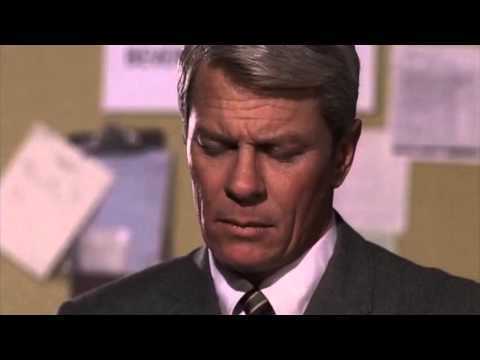 The Secretary of State thing was of course from the old show Mission Impossible with the late Peter Graves. Settling an estate in two countries, no will, for a close relative... Sad. Dave, do you mean arc fault such as the one in a Midnite Classic, an arc fault branch breaker or something else? sorry to hear . yes it can be a mission even in one country let-alone 2 . A mission impossible Sorry Bill. The one I remember was the B-I-law saying he had a trust. My parents had a standard Living (revocable) Trust (USA only). Worked great. Just a little bit with an attorney to clean up the property transfer. If you have a business, INCORPORATE. Your family will thank you. It is just me and my wife here at Offgrid Solar. I hire an C10 electrician when I need one and have a good friend who writes/builds/and speaks Raspberry Pi. The last check is meant to bounce and hopefully it will be to California. The rest will go first to the Salvation Army my favorite charity. Yeah... Another FYI. We hear about community property all of the time (what is yours is mine for married folks). But there is community debt too (the spouse never signed/saw any of the debt instruments or accounts payable from the sole proprietor business. The surviving spouse owes all of those obligations--Credit cards with one name seem to be written off pretty easily). Thanks! The client pays for equipment up front. It is only their credit card. I have not paid interest since I was in College. It is weird to be the wise one sometimes. The young ones seem so confident but they are getting so little from the school system. Most of them know who Ceasar Chavez and Martin Luther King are but have so little taught about the founding fathers, the constitution, business and finance. I heard the new LA high school is the most expensive in the nation. People from India and the Orient seem to do really well learning in schools with adobe and thatch roofs. I am late for Happy Hour! Space Station flies over us tonight. Have a good night.